Machine Project presents a two week tabla (north Indian classical drums) interactive interstitial at the Hammer Museum in Los Angeles from April 6 - 17, 2010 curated by Robin Sukhadia. 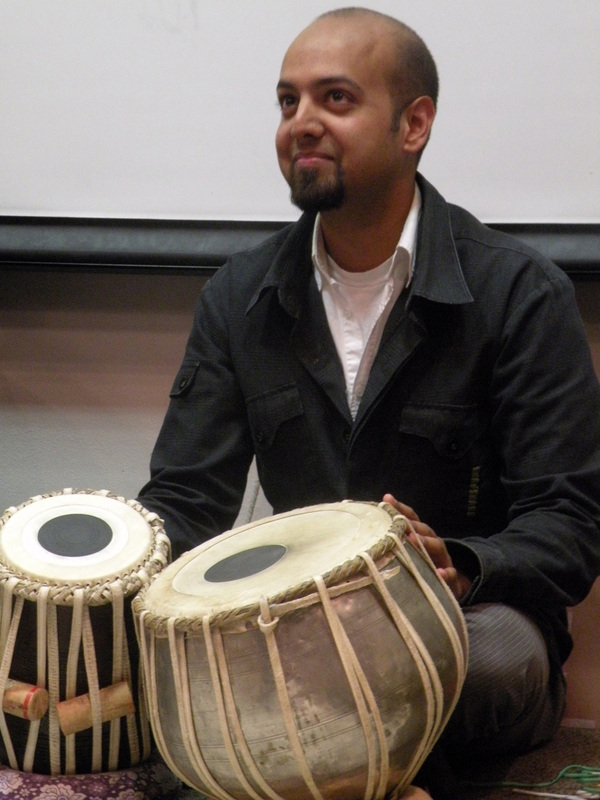 Come and participate in a wide range of tabla centered events including tabla workshops, film screenings and classical / contemporary Indian music performances. More information available at www.tablapusher.com. In Hammer Museum lobby - Open Beginning Tabla Workshop (2-3:30) plus special guests Christopher Votek @ 3:30pm (raga and cello demonstration) and Sheila Govindarajan @ 4pm. (FREE Museum Admission) In Hammer Museum lobby - Open Beginning Tabla Workshop (2-4pm) featuring special guest: Sheela Bringi (harmonium and Sanskrit chanting) plus Suman Laha performing Veena @ 4pm. Patterson, and Debashish Chaudhuri with Mike Robbins. (FREE Museum Admission) - Open Beginning Tabla workshop (5 - 6:30pm) with special performances around Museum courtyard by Tablapusher + Kitundu. 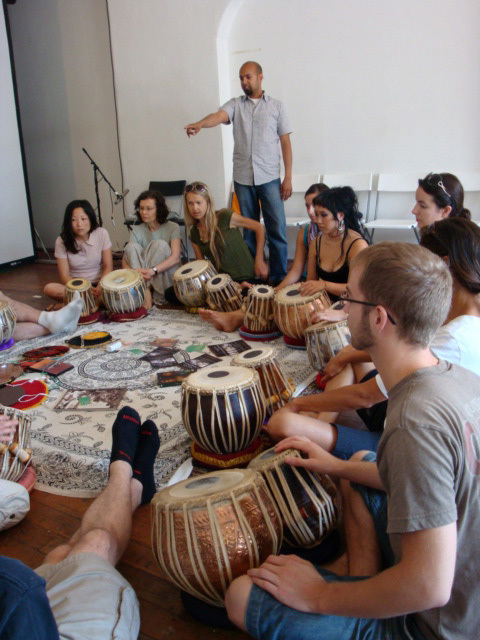 Open Beginning Tabla workshop (4 - 5:30pm) with special performances around Museum courtyard by Tablapusher + Kitundu for beginners with special performances by Tablapusher + Kitundu and Neelanjana Banerjee.